See Miami Heat's savior in action as they take on the Hornets tonight at the American Airlines Arena. 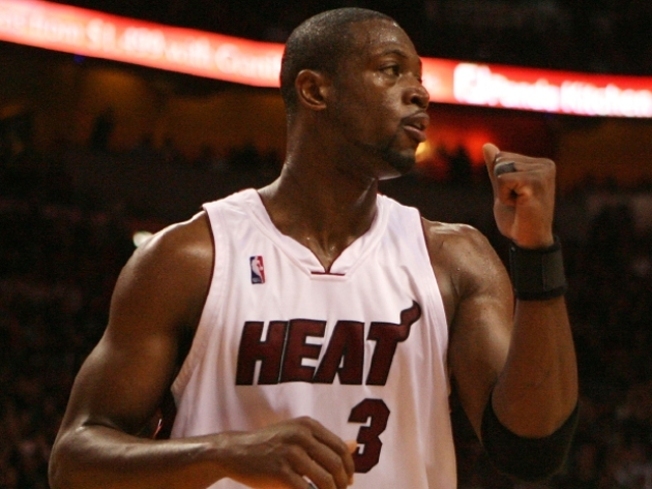 LORD OF THE STINGS: The Heat's season has gone off without a hitch (okay, maybe a few). Dwyane Wade is playing impeccably as usual and Michael Beasley is finally starting to show some cojones and play like we know he can. Even Quentin Richardson, a former Knick, is struttin' his stuff and showing us what he's made of, and we like. Watch our Heat take on the Hornets tonight. American Airlines Arena, 6 P.M. ALPHABET SOUP: Unbeknownst to us, Miami City Ballet likes to shake things up and get down every now and then, and tonight's one of those nights. Company B is a Paul Taylor masterwork set in the World War II era, with hits from back in the day sung by the Andrews Sisters themselves and dancers playing the spirits of the past, getting the chance to dance carefree one more time. Don't be coy, we know you want to get down with them. Kravis Center for the Performing Arts, 1 P.M.
MARLEY'S ONE LOVE: The legacy of his father precedes him, but that doesn't mean he can't hold his own. Julian Marley and the Uprising has chosen Miami as its final stop, featuring Julian's brothers and Grammy Award-winning musicians Stephen and Damian Marley. As his father would say, "Let's get together and feel alright." Adrienne Arsht Center, 8 P.M.